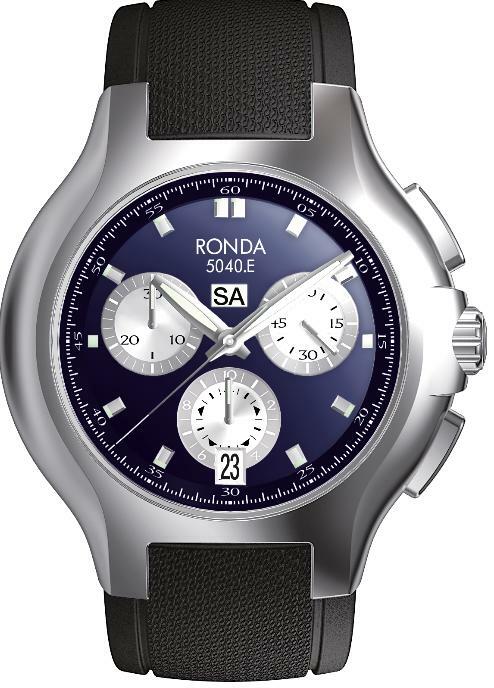 RONDA, famous for RONDA Swiss quartz movements, has added a further chronograph to its “Startech” 5000 line. 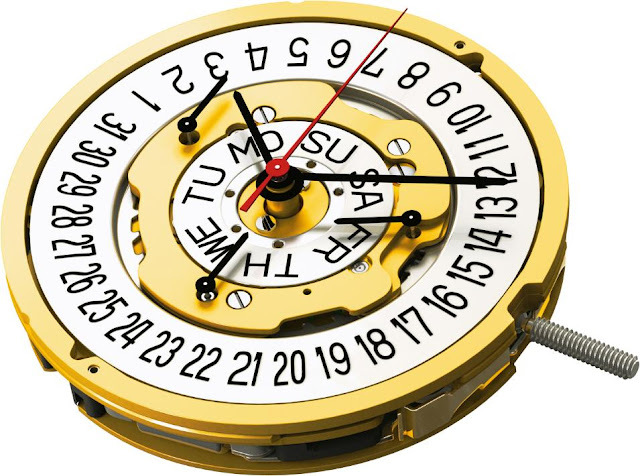 The new 12½”’-sized calibre 5040.E quartz watch movement features a calendar system that combines a normal date display with a horizontal day display at the 12 o’clock position. The new Startech model retains the classic three-eye 3-6-9 look. In addition to a centre stop second, its chronograph functions extend to a 1/10 second and a separate 30-minute and 10-hour counter. RONDA’s 28.00 mm-diameter Startech range of watch movements now runs to 18 multi-functions and chronographs. RONDA has played a pioneering role in the watch market since being founded by William Mosset in 1946. Their quartz movements tick in wristwatches all over the world - and have done so for over 30 years. The company prides itself on its independence and freedom to best respond to customers' needs.